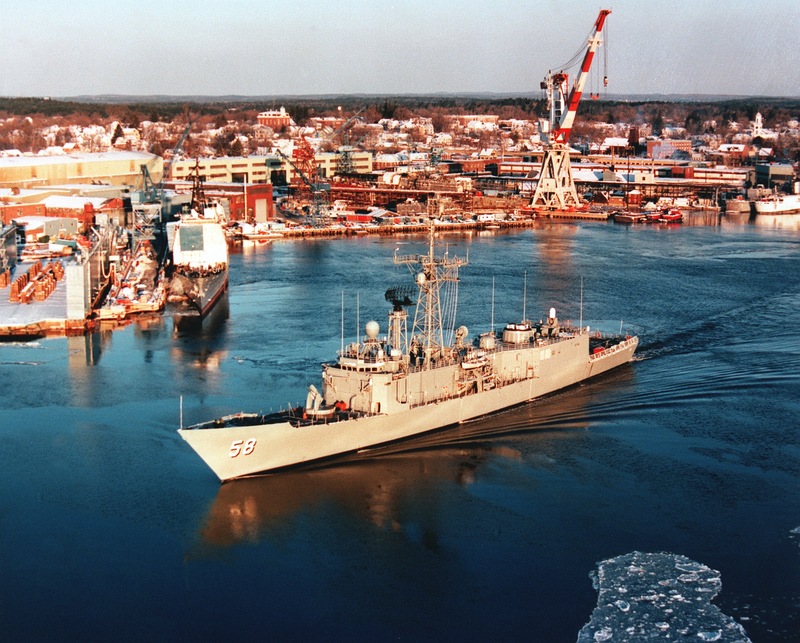 Launched in December 1984, USS Samuel B. Roberts (FFG 58), a Perry-class guided missile frigate, was ready for sea trials in early 1986. 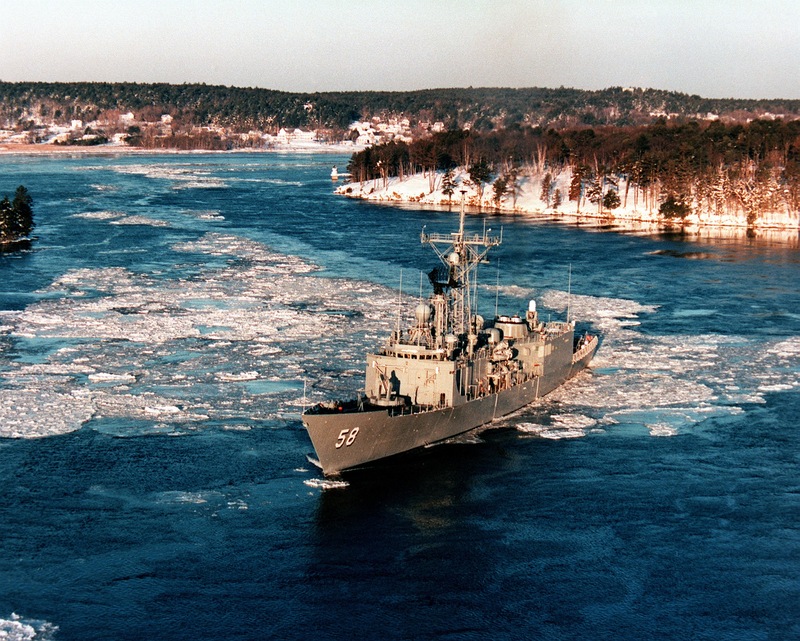 The frigate got underway from the Bath Iron Works shipyard on 4 February 1986, only the second time the ship had left the yard. Roberts noses through winter ice on the Kennebec River on its 10-mile journey from Bath to the Atlantic Ocean. Roberts passes old Fort Popham near the Kennebec’s mouth. Roberts tries out its gas turbine engines in the Atlantic. Late afternoon on the Roberts’ first day of sea trials.